Most people want to get fit, I’m sure of that. Being fit doesn’t only mean looking good, but it also means feeling good and healthy. Being healthy goes hand in hand with being physically fit. One may not necessarily have a perfect body on the outside, but he/she may be optimally healthy on the inside. You may also see flyer designs. Cholesterol levels and blood pressure are controlled and maintained within a normal range. Being physically fit helps you to sleep better. Your risk of getting injured is lessened. Being fit improves both your appetite and metabolism. Being physically fit increases your muscle strength and endurance. Other benefits include weight control, increase in energy, an increase of confidence and self-esteem, and reduction of stress. But the most important benefit of being fit is adding a couple more years to your life while having fun. 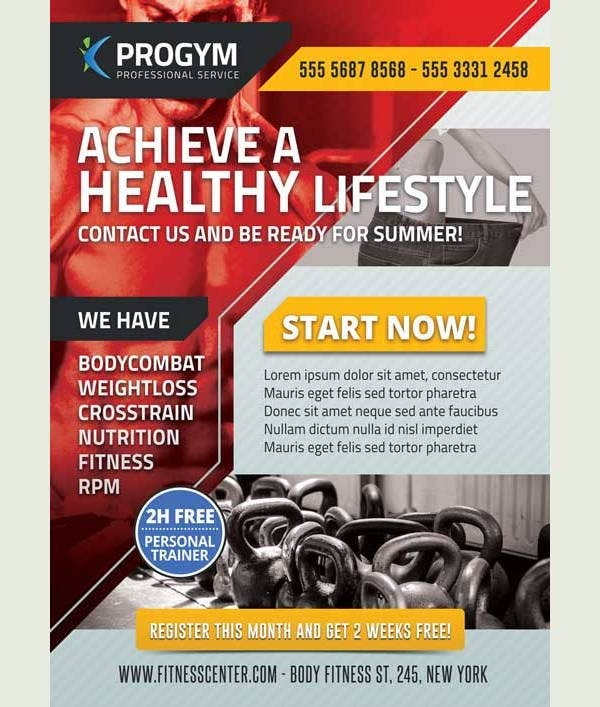 If you wish to promote health and fitness to others, then we have flyer templates on our website that you can use. 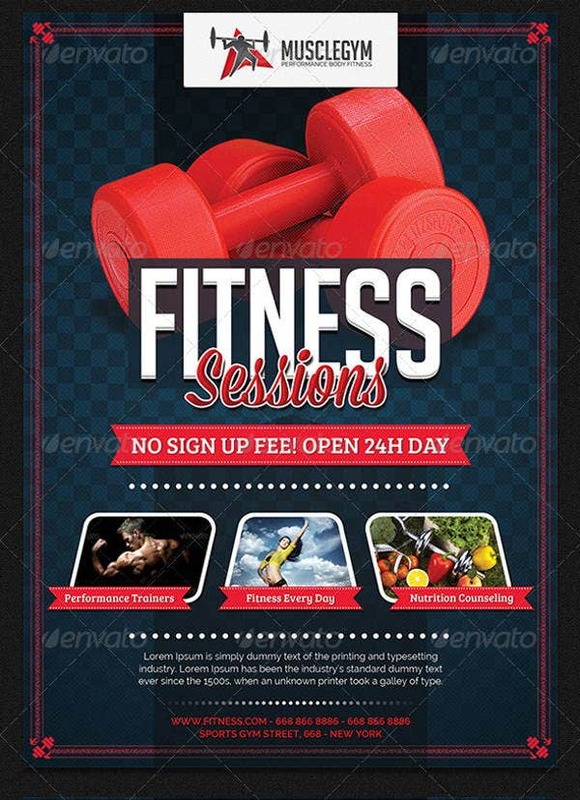 Different methods of advertising include television or radio commercials, newspaper or Internet ads, and through distribution of brochures or flyers. A flyer, or sometimes called a pamphlet, is either posted on walls, bulletin boards, wooden poles. Its main purpose is to spread information about products, services, or events. 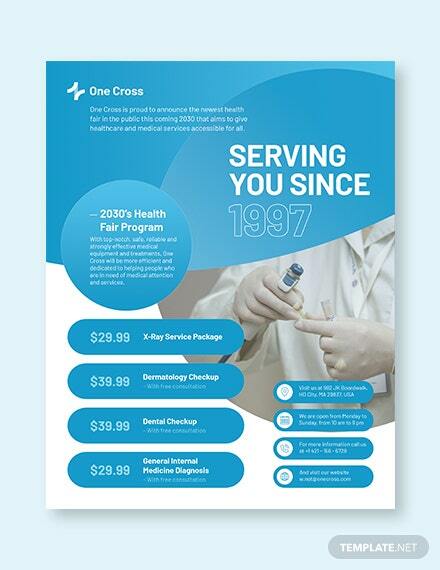 Flyers are less expensive than other methods of advertisement. 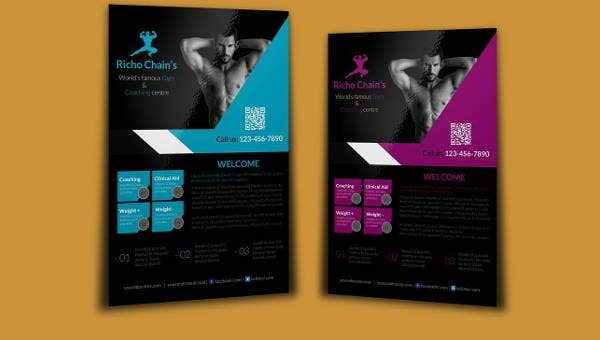 Flyers are able to reach a good number of customers. Flyers are not difficult to make and reproduce. 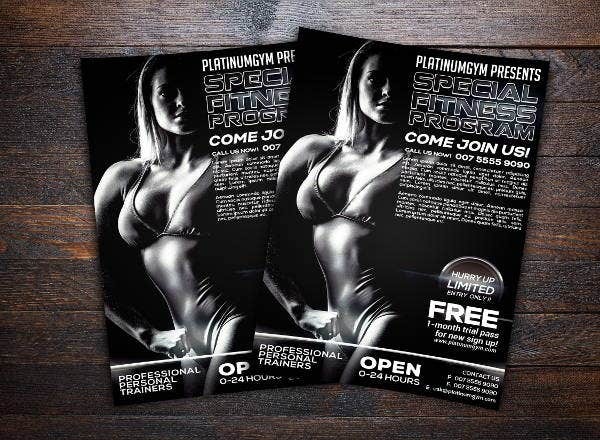 Flyers can both promote products and services as well as communicate information and details of occasions and events. 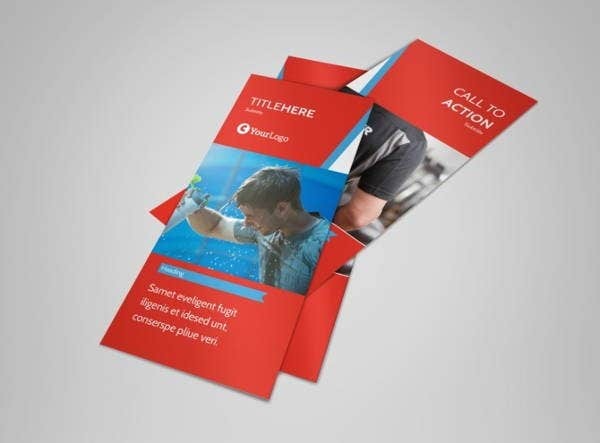 Use the appropriate size of paper for your flyer. 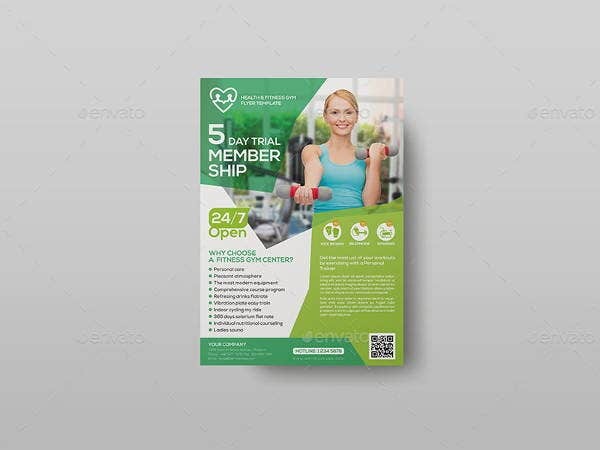 The most commonly used paper size for printing flyers is the A4 size. Aside from the size, also use the appropriate color of paper. Depending on the design, use the color that best fits it. Never go with dark-colored paper. Don’t rely on the design. Make sure that the message written on the flyer is also enough to grab the reader’s attention. Be short and direct to the point, and make the words legible enough. Never forget to include the necessary contact details on the flyer. How do you then let your audience reach you without your contact details? 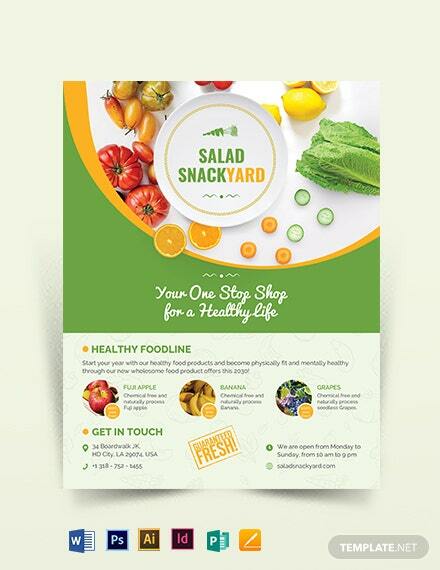 You can make your flyer out of any shape, not just rectangular, and be as creative and artistic as you can get. However, always consider the standpoint of the public. You are, after all, making these flyers for the people to read, not for yourself. 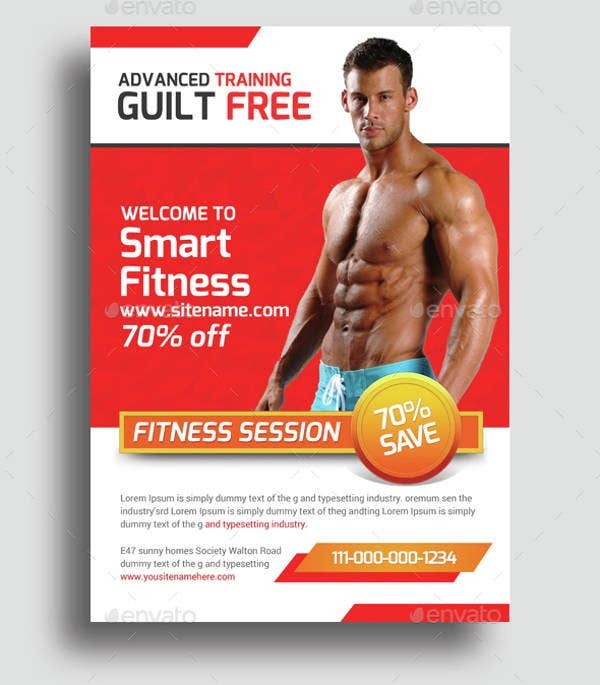 You may also want to check out other collection of fitness flyers. 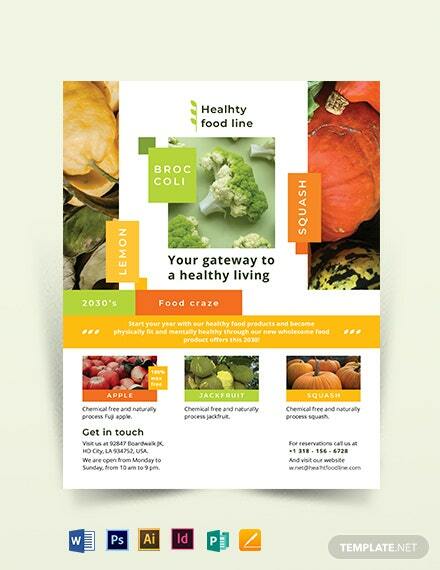 Other guidelines when making a flyer is to address the reader in the second person perspective. So instead of using they or the people, use you as if you are directly talking to your client. To make it even easier to read, you may use bullet points to outline the important information. Last, you may also opt to include testimonials from satisfied customers in the past. These templates can be downloaded easily for a very reasonable price, while others you could download for free. 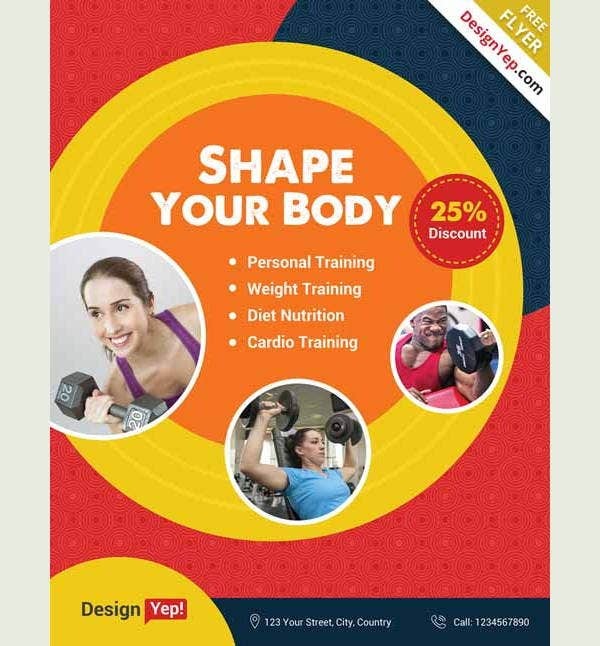 You may choose to download any of these templates in either PNG, PSD, EPS, and various other formats, depending on which one suits you best. 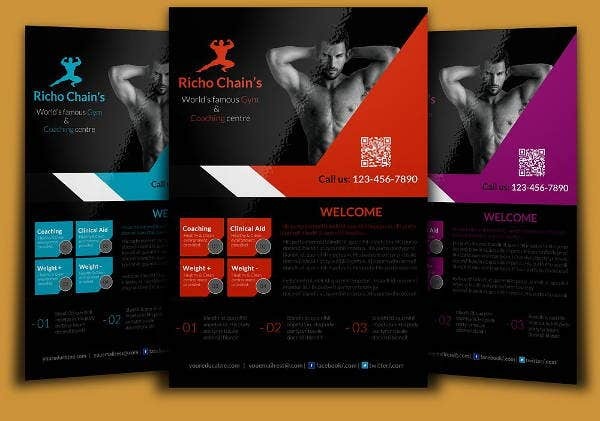 We guarantee you the best quality with our flyer templates. Are you into yoga? Do you want to share the wondrous benefits that yoga can do to your body and mind? 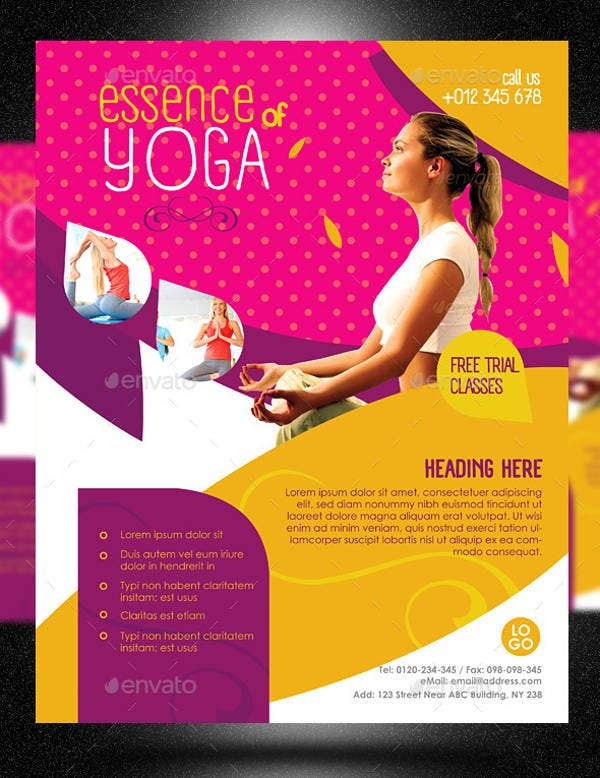 Then we also have templates of yoga flyers that you can use.